Mugen was created first from the idea of controlling a computer from a smartphone. Then, it was refined to control specific software on the computer. But, as a smartphone offers different ways to connect to a system, we thought it could be expanded to anything connected to an IP network. So we decided to build a generic communication layer to facilitate data exchange between the users and the connected systems using a computer, a smartphone or a tablet. 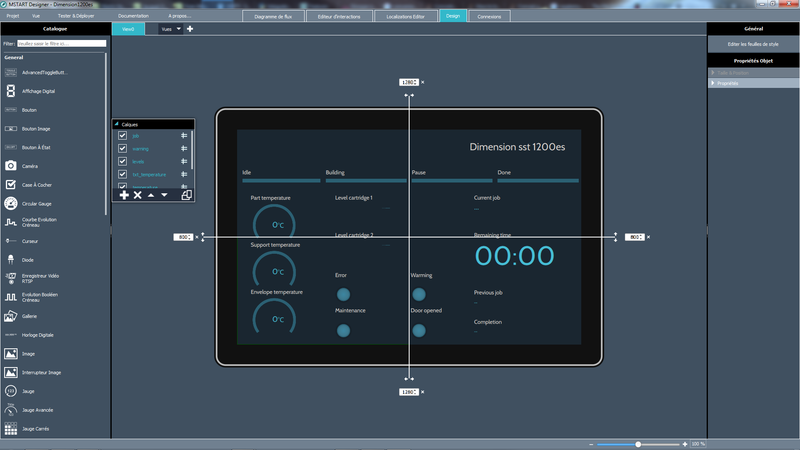 In order to easily customize human/machine interfaces, we developed an application to design interfaces without coding so it can be used by anyone. And that’s how, from the will to control a computer, we decided to provide an industry oriented software solution which can address any connected object, system or environment. Mugen is a software editor specialized in human/system interactions. 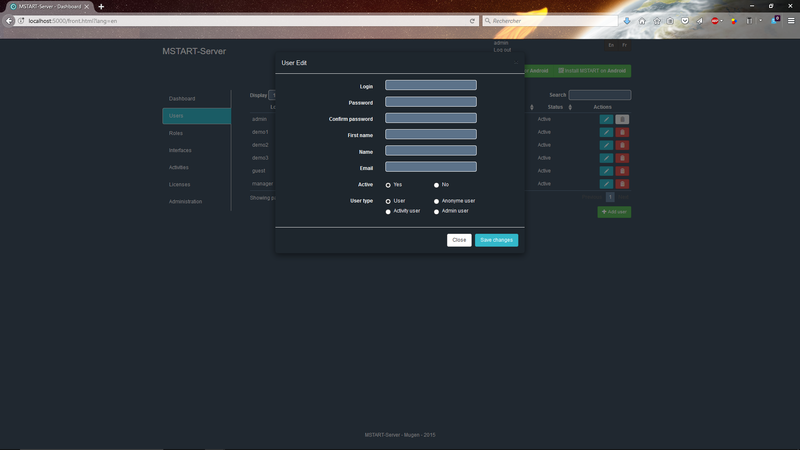 We edit a software solution, M-START, which is meant for Original Equipment Manufacturers and industrial integrators. It includes an application for human/machine interfaces design and communication layer which is client/server based to easily communicate with machines from a computer, a smartphone or a tablet. With our technology, we provide the means for the industries to facilitate the transition to smart industry. It collects data automatically and grants specific access to a machine depending on the user profile, for instance a production operator or a maintenance technician. 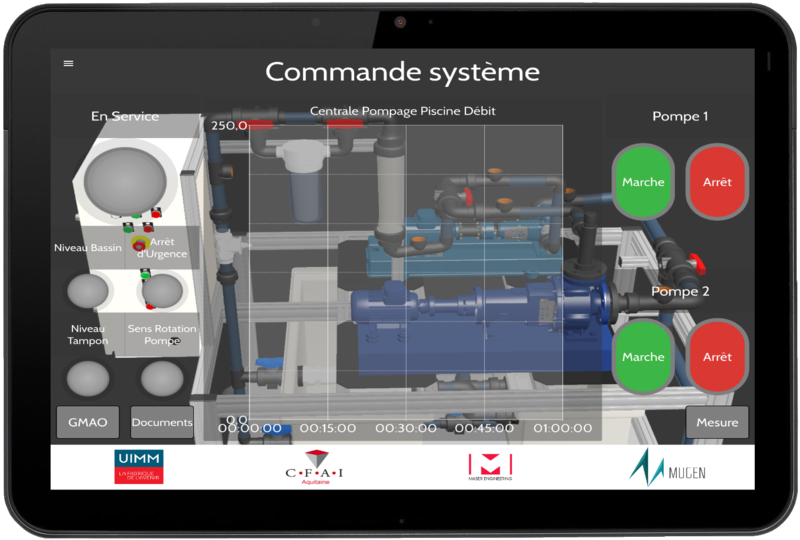 M-START is already in use in training centers for industry apprentices for production operations and advanced maintenance, and also in SMIs. Though we are focusing on the industry market, providing software for supervision and control-command, we know that we will be surrounded by connected objects and systems in our future everyday life. For this future, our vision is to make it easier discussing with a connected environment as we think that exchanging data with connected sensors and objects is a “customized” dialog with the users in order to facilitate this new way of interacting with the connected world. Our activity is growing with the training centers of industry apprentices as well as the development of applications based on our technology for small industries. For the education part, we aim at providing our software solution, and not only ready-made applications, and training classes so they can train on it and become prescribers of the solution when they are hired. Also, working with industrial integrators, our goal is to provide applications for small SMIs which cannot afford to renew their industrial tools to get connected machines. To fulfill our goals for the next year, we are considering hiring software engineers to sustain the activity and business developers to seek new opportunities. By joining, we would like to showcase our technology and what we have done. We hope to start partnerships with companies from other part of the world to develop our activity outside France and Europe. We want to demonstrate that we are an interesting piece of the puzzle in the transition to future industry and more generally in the connected world.